As part of the College’s sesquicentennial celebration, alumni in eight cities participated in the first Collection of Service this spring. An Alumni Council/Alumni Connections initiative, the Collection of Service aims to highlight the volunteer work countless alumni already provide to their local communities and to bring alumni together for a day of service that promotes the common good. 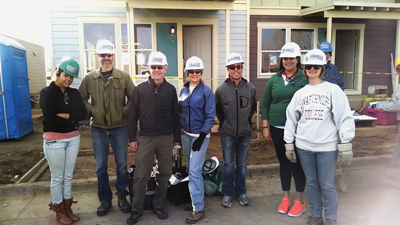 Above: Denver Swatties spent a Saturday in April building for Habitat for Humanity.